Need More than 100 ISBNs? Blocks of 1,000 ISBNs are generally purchased by independent or small publishers, and is a quantity usually sufficient for publishing multiple versions of approximately 200 books (or editions of books). The U.S. Government charges a fee of $35 - $55 for each completed copyright application. Self-Publishing solutions include ISBNs, Barcodes, Android Apps, & other marketing services! Learn about Self Publisher Solutions! Bowker Ebook Creator Suite will help you convert your books into a MOBI and EPUB. An AP-style document designed to showcase you and your book to print, broadcast, and online media. Get A Press Release Today! The purpose of the ISBN is to establish and identify one title or edition of a title from one specific publisher and is unique to that edition, allowing for more efficient marketing of products by booksellers, libraries, universities, wholesalers and distributors. If you are located in the United States, or a territory of the USA (Puerto Rico, Guam, US Virgin Islands, Northern Mariana Islands, America Samoa, as well as military bases and embassies), Bowker is the official registration agency of the ISBN. For more information about the ISBN standard, or if you are looking for the ISBN Agency in your jurisdiction visit the International ISBN Agency. What Are Your Publishing Needs? Single ISBN A person who would purchase only one ISBN for $125 is often printing a single version of a single book. Purchasing a single ISBN is not adequate for those who wish to publish multiple versions of the same book (Hardback, Softback, EPUB, MOBI, PDF), or for people who plan to publish more than one book. Many publishers, and Self-Publishers, publish at least three to five (3-5) versions of a book (Hardback, Softback, EPUB, MOBI, and PDF). Each version of a book requires an ISBN. 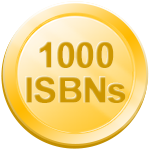 100 ISBNs A block of 100 ISBNs is usually purchased by more prolific self-publishers and small independent publishers. Purchasing a block of 100 ISBNs for $575 is a more cost-effective option if you need more than 2 blocks of 10 ISBNs. Do You Need 10,000 or more ISBNs? If you are a USA based publisher and buying more than 1,000 ISBNs, we have programs designed to fit your needs. Whether that be ONIX uploads, pricing for ISBN blocks of 10,000 / 100,000/ or even a million, or fully integrated customized marketing solutions to help you achieve your sales goals within a specific market segment - we are happy to help. 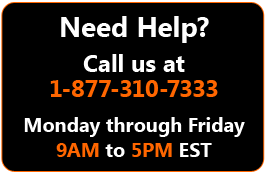 Click Here to Contact us directly, or call 1-877-310-7333 to discuss in greater detail.